When it’s party season I always like to wear something sparkly on my nails! At my recent work Christmas party I opted for a burgundy red dress and thought this gorgeous Nailgirls Gold Nail Polish would work perfectly. 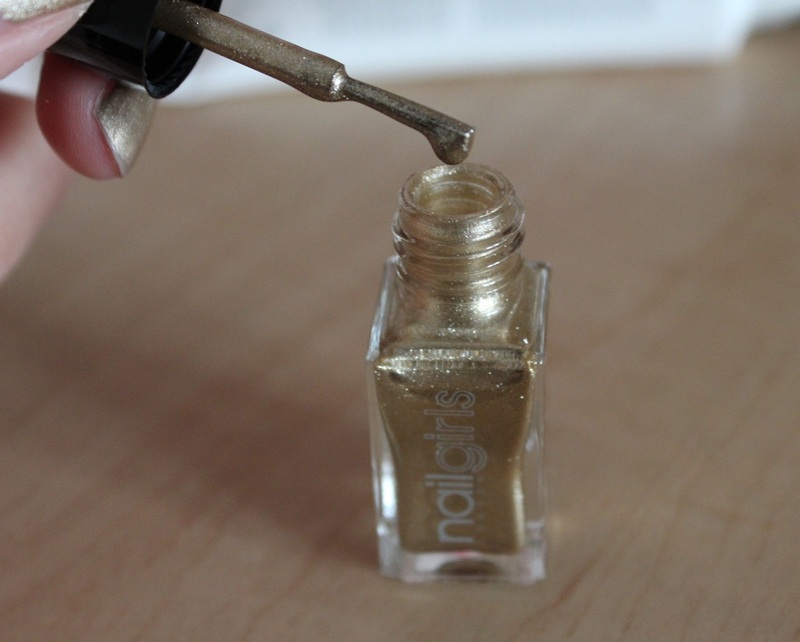 I received a sample of Nailgirls Gold nail polish in July’s Jolie Box and hadn’t had a chance to use it yet! 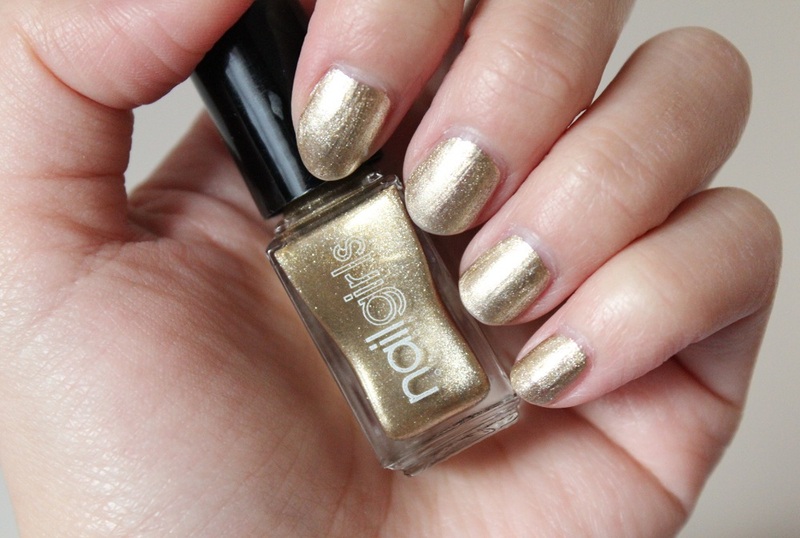 Well I wish I tried it out sooner so I could check out some of Nailgirls’s other shades because Gold is simply stunning! 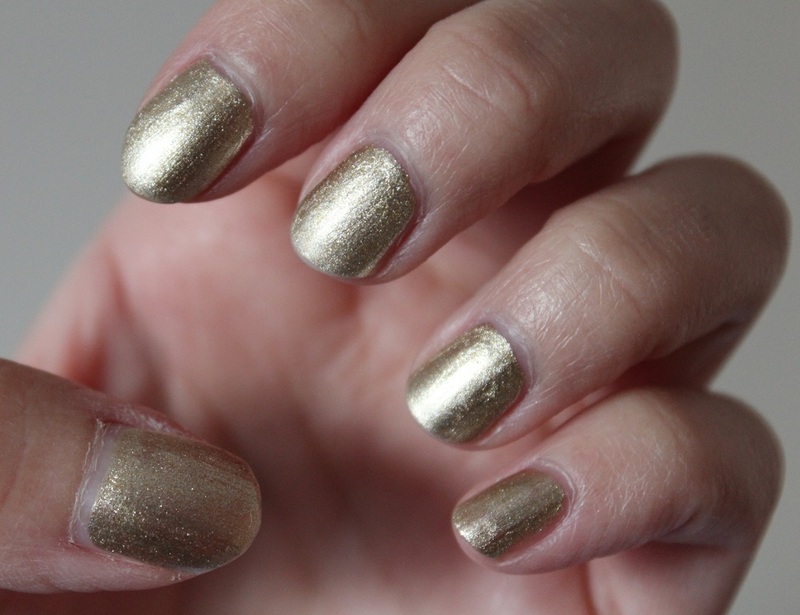 Nailgirls’s Gold nail polish is a “shimmering pale gold foil” and as the name suggests it’s a slightly paler metallic colour than what I’ve seen before, but it’s just so pretty. Nailgirls nail polishes are also free from Toluene, Formaldehyde, Dibutyl Phthalate and Camphor as well whch are the usual nasties found in nail polishes. What really amazed me about this nail polish was the fact that after just 1 coat my nails were perfectly opaque! For these types of colours I half expected the gold to come out really sheer and I’d have to go through a few coats before I was happy with the result, so this took me pleasantly by surprise. Nailgirls nail polish retail for around £10.50 putting them in the same price ranges as Nails Inc, OPI and Essie. Whilst not exactly a high street bargain like Rimmel or Barry M, they are still an investment and comes with exceptional quality. So far it’s lasted me 3 days with very minimal chipping which just goes to show, you get what you pay for! Have you tried Nailgirls nail polish? What do you think of them?